Lift-All® Black Roundslings are lightweight and ideal for easy and inconspicuous suspension of stage sound and lighting equipment. Black sleeve material helps sling blend into its surroundings. 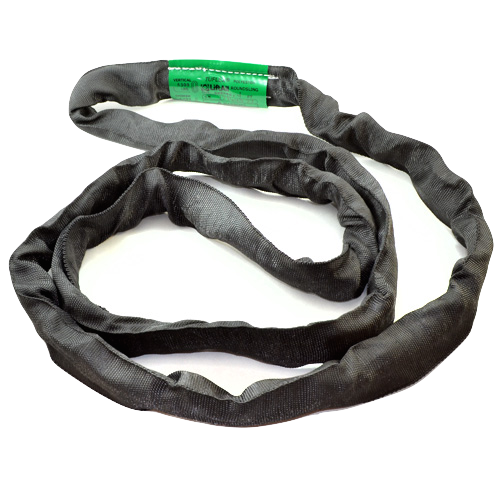 This Roundsling is an endless synthetic sling made from a skein (continuous loop or hank) of polyester yarn covered by a double wall tubular jacket. The core yarns to move independently within the jacket. Meets or exceed OSHA and ASME B30.9 standards and regulations.